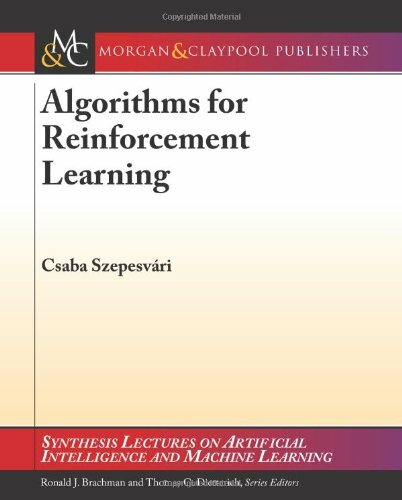 In this book, we focus on those algorithms of reinforcement learning that build on the powerful theory of dynamic programming. We give a fairly comprehensive catalog of learning problems, describe the core ideas, note a large number of state of the art algorithms, followed by the discussion of their theoretical properties and limitations. The book you see before you is meant for those starting out in the field of machine learning, who need a simple, intuitive explanation of some of the most useful algorithms that our field has to offer. A prelude to the more advanced text books. This book provides an introduction to statistical learning methods. It contains a number of R labs with detailed explanations on how to implement the various methods in real life settings and it is a valuable resource for a practicing data scientist.